Posted on June 12, 2017 by Lisa @ Paradise Meadows. 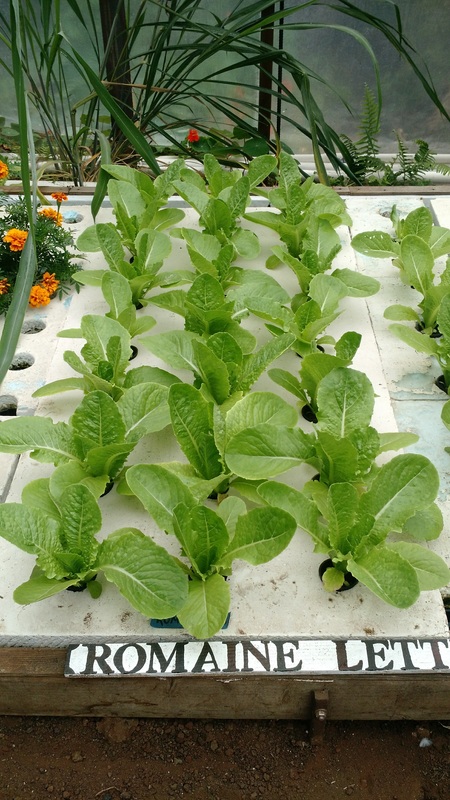 We’ve got a delicious variety of Romaine Lettuce just about ready to harvest in our greenhouse this week. It’s part of our aquaponics system here on the farm, where the water circulates from a large artificial pond with fish in it, through to the plants in our greenhouse, and then back to the fish again. The roots from the lettuce are in the water itself, which is filled with nutrients from the fish. To harvest it, we just pull it out, roots intact, and it’ll continue to grow for several weeks in the refrigerator. You just pull off the outer leaves as you want them.